A native of the Mediterranean and North Africa, these are elegant, colorful and softly fragrant plants that brighten up any room. 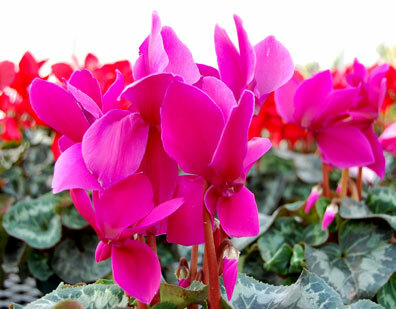 Some of the choices for flower colors are white, light pink, pink and white, hot pink or red. Bright, indirect light ― a north or east window is perfect. 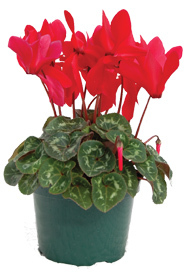 While the plant is dormant during the summer, keep it out of bright light. 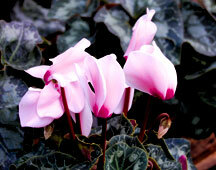 Temperature: Cyclamen do not like heat, but they are not frost hardy either. Do not expose to temperatures below 50 degrees F. Avoid drafts as well as hot, dry air. They prefer cool temperatures in the 65-70 degree range. If they get too warm, and they’ll stop blooming and go dormant. 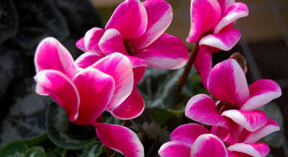 Nourishment: Fertilize every 2 weeks with a water soluble bloom fertilizer at half strength. 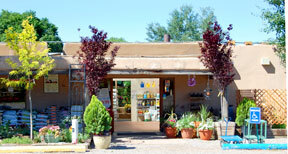 Time-release fertilizers are also an option.